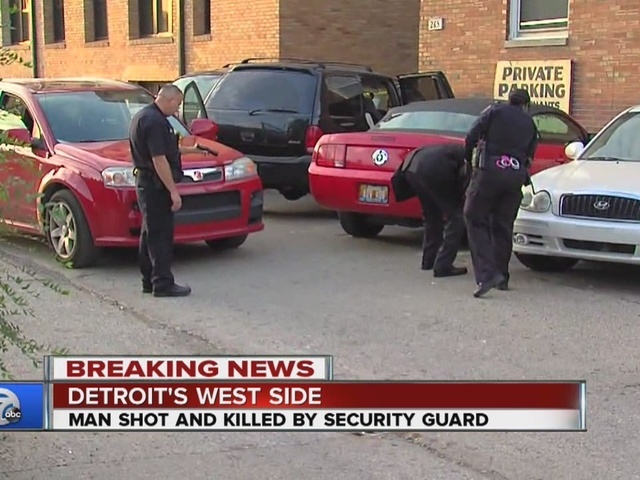 Police are investigating after a man was shot and killed by a security guard. 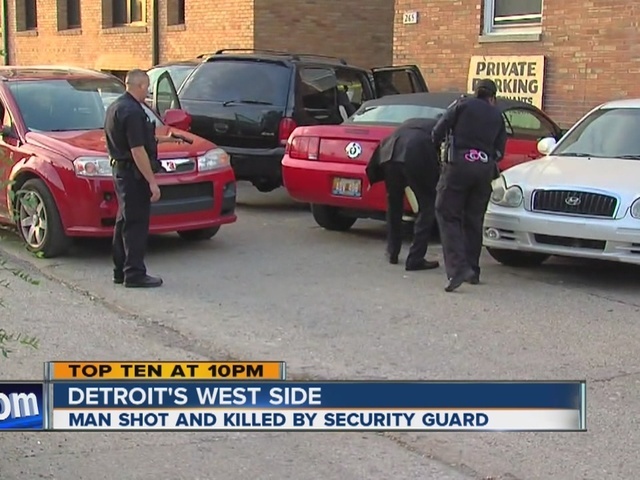 Detroit police are investigating the fatal shooting of a man by a security guard. It happened on Merton around 5:00 p.m. That's near Woodward and McNichols. Police sources tell us the security guard approached the man on a construction site, where he was allegedly stealing building materials. The guard and the man walked back to his vehicle, a black Dodge Durango, where the victim got into the driver's seat, while the security guard stated to remove the building materials. We're told the man then tried to drive off with the guard still partially inside the vehicle. At this point, sources say, the guard shot the man in the back and the stomach. 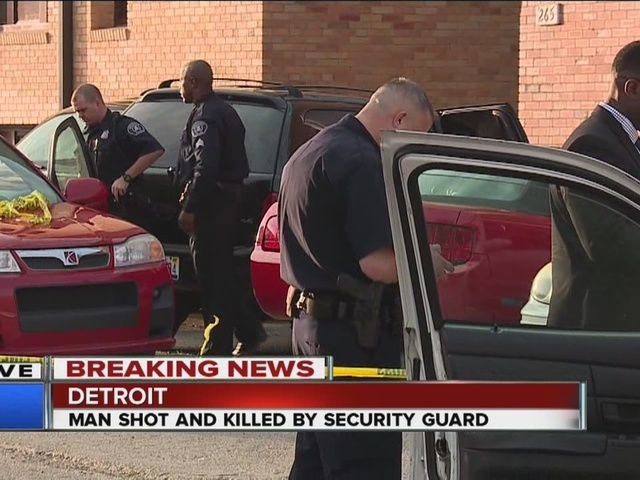 He was taken to Henry Ford Hospital, where he was pronounced dead. The security guard is in custody, but it is not clear if she has been placed under arrest.